Man that is just wrong but if I were to ever own a wagon this would be it. I maybe sick but that is badass awsome. Put a CJ engine in it w/a 4speed and a 9" with a detroit locker awsome. Wasn't LSD a legal drug back then? 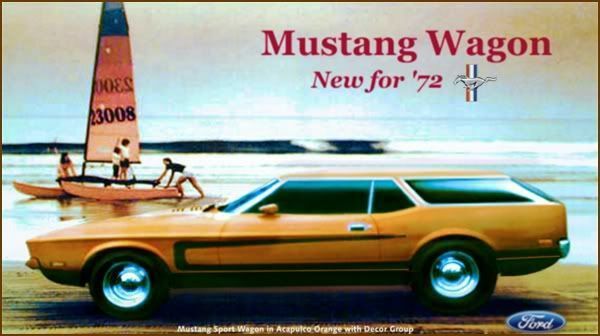 If memory serves me right Ford actually built one (one being the operative word) as a concept car, I'm not sure what year it was but I remember seeing it once a long time ago on a show which showed concept cars still owned and stored by Ford.